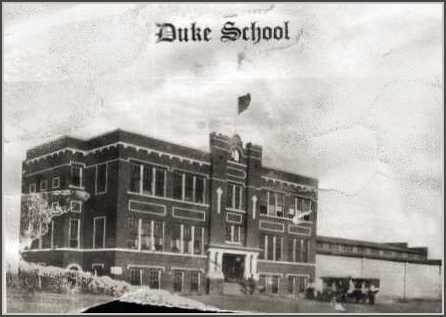 In 1910 Duke School was housed in a three-room frame building which was in very poor condition. 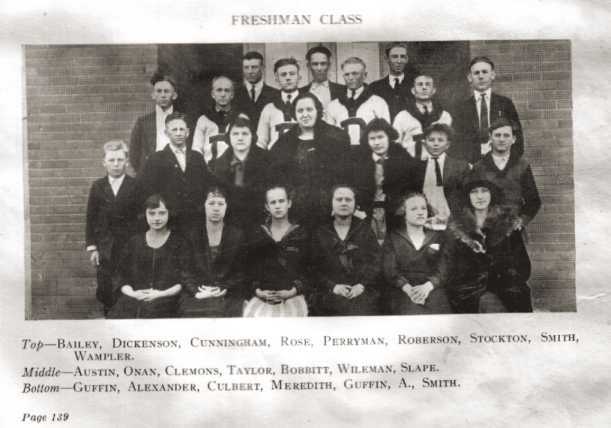 At this time the town was beginning to grow on account of the advent of its first railroad. A petition was circulated asking for an election to vote bonds sufficient to finance the construction of a new building in keeping with the growth and prosperity of the town and community. At this juncture, on account of a disagreement between parties financially interested in the townsite relative to the location of the depot, the citizens had two factions, being known as the New Town and the Old Town. Both factions wanted the school. 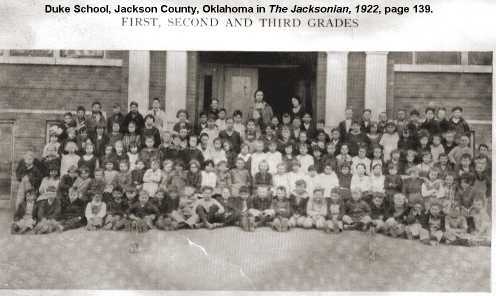 The first election failed, but in due time the school won the bitter struggle and the New Town secured the location of the building. This caused the Old Town to withdrawn and erect a building of their own. Time ironed out the differences and the two districts were united. 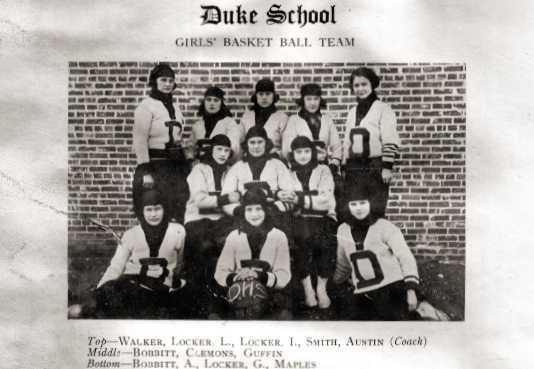 The School of Duke had good prospects in 1922. 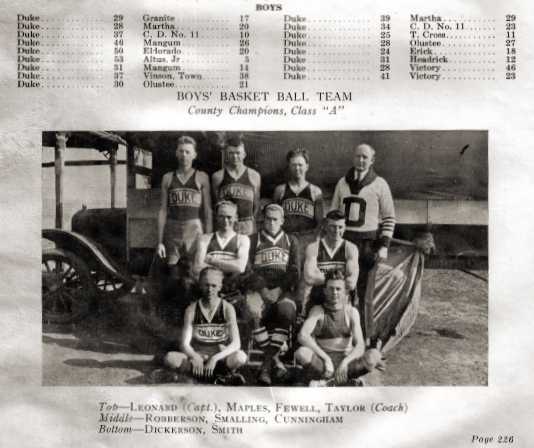 They added the County Football Championship to their record and captured the same banner in Basket Ball. 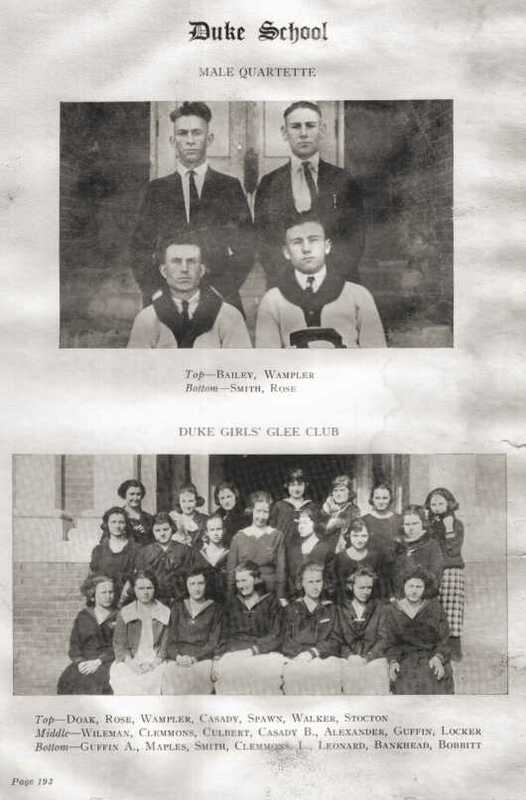 The Duke School board was Frank Reaves, Mrs. C. C. Walker, and R. L. Darby. 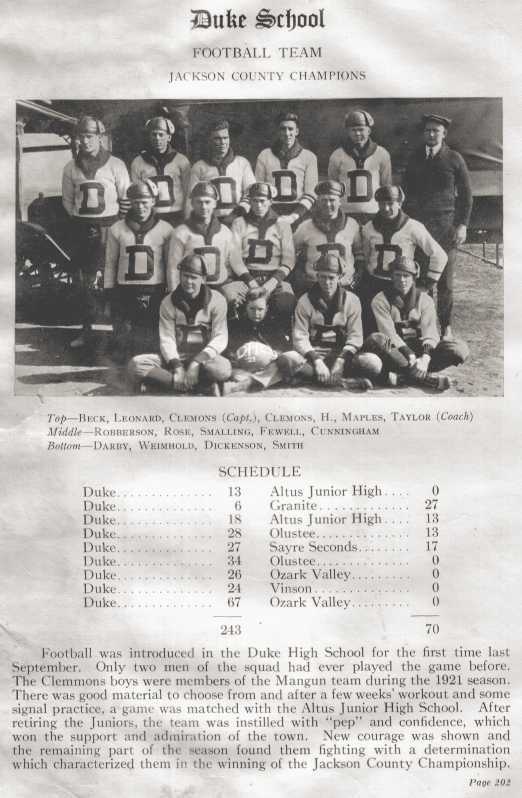 I would have liked to add the rest of the Duke class pictures of 1922 from this book, however the book had been damaged in storage. 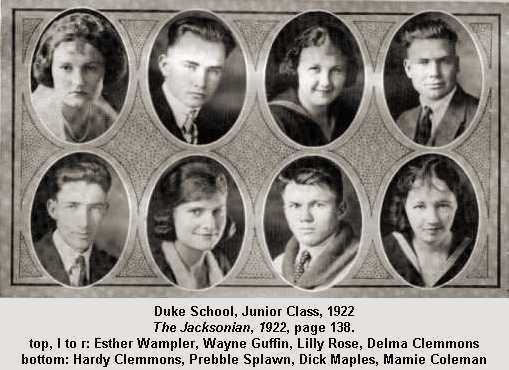 Many thanks to Jodean for sharing what there was.